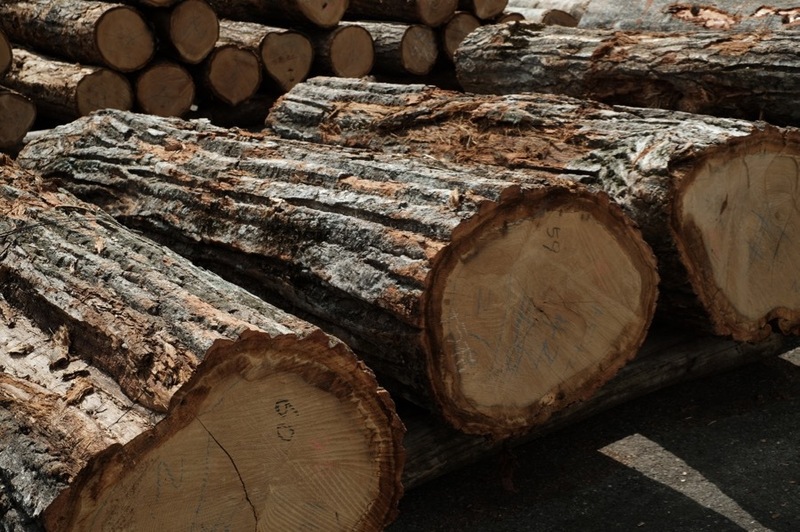 At the beginning of this month in the lumber market , we finally acquired lumbers with a diameter greater than 40 cm (Oak at Nyuukawa Takayama city ). With this we can also get thick plates , so this year the purchase of lumbers is over soon. We got the amount that we wanted this season. Although we have a lumber market twice a month , there are times when I forget carelessly and I can not peep at times when accidents overlap. Often there are large-diameter trees out there only at such times , I often regret. However , if we look closely well , that is not Hida oak. It is a lumber market in Hida , but it is not only from Hida that it is sent. Toyama prefecture and Nagano prefecture , far away are many of Yamanashi prefecture too many recently. Even if there is good oaks , I am not gonna buy these unless it is Hida's one. 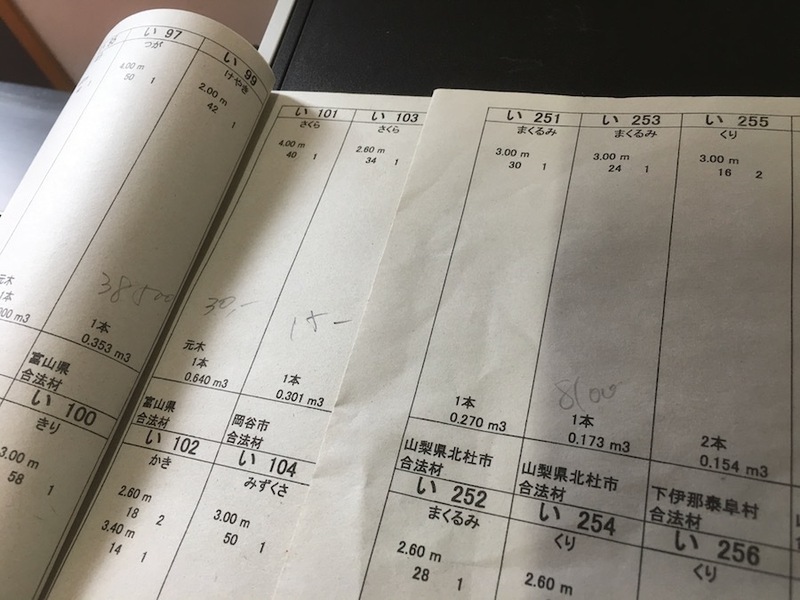 Although cherry trees and walnut are popular and there are many craftsman used also in Hida , it is a big mistake if you think that it is Hida's lumbers because you are purchasing at Hida's wood material shop. those are lumbers of another prefecture with a considerable probability. After all , it is realistic that it is difficult to grasp the production area properly with the person in charge. To buy with lumbers is that there are few places you can use if you saw lumber , so you have the risk. Actually this is the same for HIDA Leather. If we get beef's skins , we can not find holes or scratches. But We buy those with consent. Ultimately , it is difficult to say the traceability, unless we have risks.